Chaitra Navratri falling in the month of March or April. The auspicious 9-day festival will start from March 18 this year. From performing aarti to worshipping 8 girls on the 8th or 9th day of Navratri, people fast for nine days and chant mantras to seek Maa Durga’s blessings. 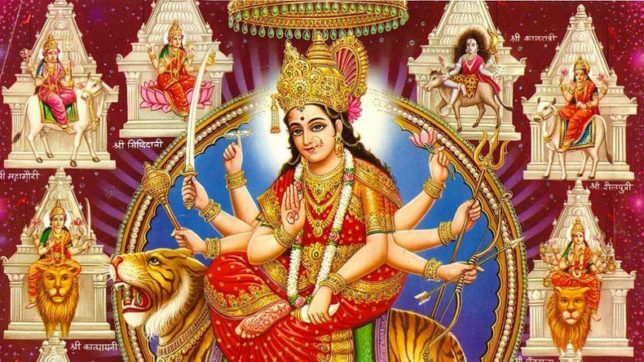 Take a look at Happy Navratri messages and wishes in advance for 2018: WhatsApp messages, Chaitra Navratri wishes and greetings, SMS, Facebook posts to wish everyone. One of the ancient and popular festivals of Hindu religion, Navratri is thoroughly celebrated in India. It is lauded twice a year with Chaitra Navratri falling in the month of March or April and Sharad Navratri falling in the month of September or October. Navrati itself means worshipping nine incarnations of Goddess Durga. From performing aarti to worshipping 8 girls on the 8th or 9th day of Navratri, people fast for nine days and chant mantras to seek Maa Durga’s blessings. Navratri is one of the auspicious day and a perfect way to spend quality time with family. So, if you are planning to make your family and friends feel special this Navratri, make sure you send Happy Navratri messages and wishes in advance for 2018: WhatsApp messages, Chaitra Navratri wishes and greetings, SMS, Facebook posts to wish everyone. Not just this, you can also get tiny gifts as a token of love for them.